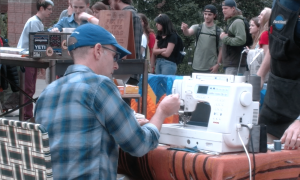 Patagonia clothing company employees traveled to American University in Washington D.C. on March 1st as well as to other college campuses around the country in their Spring 2017 Worn Wear College Tour. 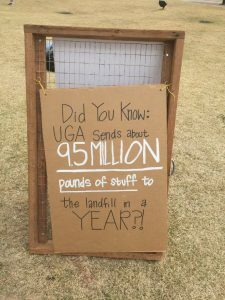 They have teamed up with the Post Landfill Action Network, a student led sustainability organization, in a pursuit towards a world with no waste. 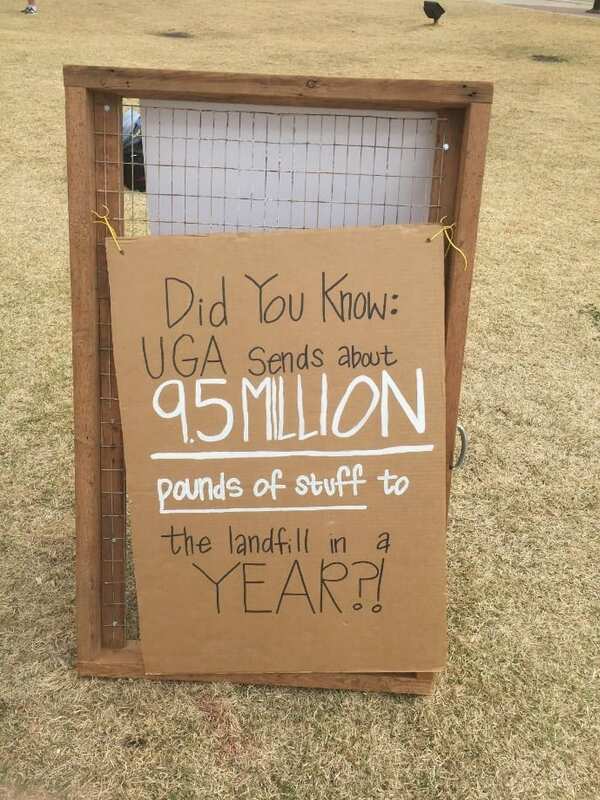 Travelling in their mobile sewing shop, they rolled up to the University of Georgia on Tuesday, Feb. 21. 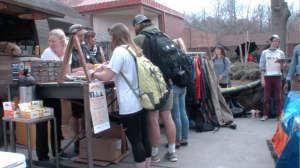 Students at UGA were encouraged to bring damaged clothes to Tate Plaza last week where the repair team refurbished worn items free of charge. Peter Julber, a Patagonia repair tech, says they can do it all. According to Julber, the repair team is able to mend between 30 and 50 garments per day depending on their complexity. The tour’s goal is to create conversation and action towards lessening waste, to promote the idea that old is better than new, and if it is broke fix it. They believe that the best thing you can do for the environment is to keep your stuff in use longer and to repair it as opposed to throwing it away. “Everyone’s gear has stories. You gotta keep those stories going,” says Julber. The Worn Wear repair team will be on the road for 70 days. You can follow the Worn Wear Tour’s whereabouts by going to their site.